Atrium Medical Corporation is a relatively new medical device manufacturer. It’s based in the U.S., but it sells critical care products worldwide. Atrium is well-known for its soft tissue and hernia repair products. It also makes coronary and peripheral stents and catheters. Atrium operates as a subsidiary of Maquet. Swedish medical technology company Getinge Group owns Maquet. Atrium Medical Corporation makes popular products like C-QUR mesh. It also makes vascular grafts, local therapeutic infusion catheters and covered stents. Atrium Medical had stop manufacturing some of these products while it made corrections. Other products were restricted. But people could still get them with a certificate of medical necessity form. In early 2015, Atrium signed a Consent Decree with the U.S. Food and Drug Administration. The decree established a framework that provided assurances to the FDA that the company would complete necessary improvements to strengthen its quality management system. In 2018, Atrium faces a growing number of hernia mesh lawsuits. It also recalled 60 units of ProLite Mesh for improper labeling. Atrium Medical’s headquarters is in Merrimack, New Hampshire. Atrium develops over 2.7 million medical products each year. It distributes them to over 60 countries. Atrium Medical started in 1981. It has operated as a subsidiary of Maquet Cardiovascular LLC since November 2011, according to Bloomberg. Maquet has German roots dating back to 1838. Getinge Group acquired Macquet in 2000. Getinge is a Swedish company. Getinge brought in about $2.6 billion in revenue in 2017. MPO Magazine ranked Getinge No. 25 out of the top 30 medical device companies. Mattias Perjos is Getinge’s current president and CEO. Carl Bennett is the company’s current chairman. 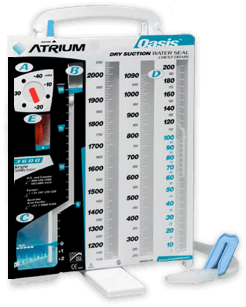 Atrium leads the market in chest drainage devices. Atrium develops products for cardiovascular disease, soft tissue repair and critical care management. 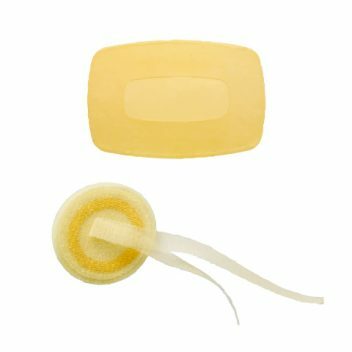 These products include artificial heart components, minimally invasive gastrointestinal devices, various catheters and stents, and soft tissue and hernia repair and support components. The company also leads the market in chest drainage devices. Atrium is currently facing hundreds of lawsuits over its popular hernia repair meshes. Injured patients filing the lawsuits claim that the products are defective. Patients injured after being implanted with Atrium’s C-QUR mesh are suing Atrium. More than 470 C-QUR hernia mesh lawsuits are pending in New Hampshire federal court. Trials are expected to start in 2019. Lawsuits blame Atrium C-QUR mesh for serious complications. A 2014 lawsuit blamed a man’s injuries on Atrium’s ProLoop polypropylene hernia repair mesh. Juan Paredes of New Jersey filed the lawsuit against Atrium, Maquet and Getinge Group. He accused the hernia mesh manufacturers of designing a faulty device. Paredes underwent a double inguinal hernia repair in 2011, according to his complaint. Doctors implanted Paredes with the device during the surgery. He had to have a second surgery in 2012 to have it removed. Atrium settled a whistleblower lawsuit in 2016 for $11.5 million. Esther Grace Sullivan alleged that Atrium paid illegal kickbacks to doctors. He claimed the company paid doctors to promote the company’s iCast brand medical stents for use in patients’ arteries. The FDA had not approved that use. Sullivan worked for Atrium from 2007 to 2012. He was a sales representative and territory business manager. The settlement is one of the largest in U.S. history for claims brought under federal law where the government actually declined to join as a party. Atrium has recalled some of its products, including its problematic meshes. The FDA investigated the problems that initiated each mesh recall and recall of other products as well.